Assist the Cook/Food Service Director as requested. Assist with food prep and serving under the direction of the Cook. Sets out all of the plates, glasses, and bowls needed for a meal out on the counter prior to the meal so that the group can set the tables. Prepare a clean-up tote for each table and have them set out on the counter before the campers are finished with their meal. Follow the correct dishwashing procedure outlined by the Linn County Health Department. Assure that the dishes are scraped at the tables. Rinse all the dishes before running them through the dishwasher. Allow dishes to air dry. Put all of the clean and dry dishes away in their appropriate places. Log the temperature of the water during each use of the dishwasher. Rinse and drain the dishwasher at the end of its daily use. Clean the screens in the dishwasher after each day of use. Clean and wipe down the dishwasher and the surrounding areas after every use. Sweep and mop the dishwashing area and the kitchen area, including under the mats, at the end of the day. 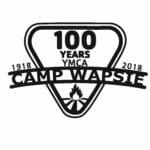 Create and maintain a harmonious, positive working relationship with fellow staff, YMCA Camp Wapsie campers and participants. Campers are the reason that we exist, and must be an important factor of this position. Enjoy working and interacting with people of all types and ages, with a special emphasis on children. Model and utilize the important core values of caring, honesty, respect and responsibility. Seasonal position with various shifts needed when groups and campers are on property.